Since its launch in 2011, about 126 master’s-degree-level students or health professionals have participated in Éxito! 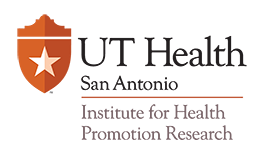 Latino Cancer Research Leadership Training, a doctoral degree and cancer research training program led by the Institute for Health Promotion Research at UT Health San Antonio. Below are the inspiring stories of their lives, what led them to Éxito!, and their futures as potential doctoral students and cancer control researchers. “I really appreciate all the information that was provided during the [Éxito! summer] institute, it allowed me to see that I can apply for a doctoral program. I also felt I gained more family and a greater support network in the staff and participants,” Bonilla said. Cervantes said the Éxito! summer institute provided “another means of support and guidance” in her efforts to promote Latino health. “The [Éxito!] summer institute allowed me to connect with others that had similar backgrounds and obstacles (cultural, gender, financial, etc.) and a similar interest of how health and culture can either mitigate or increase disparities; wanting to further our education despite not knowing many (or any) others that have obtained a doctoral degree,” said Cordero. Cruz recently graduated from the University of Michigan, Ann Arbor, with a master’s degree in toxicology. “This program was incredible in giving us all the tools we needed to successfully apply to doctoral programs,” said Dias. “The [Éxito! summer institute] motivated me and showed me that it is possible to overcome many barriers in pursuing a doctoral degree,” Garcia said. “Participating in [the Éxito! summer institute] was extremely helpful in planning the next steps of my career,” Landa said. “I am grateful for the incredible opportunity to learn from great speakers and peers at the [Éxito!] summer institute,” said Garcia-Medina. “[The Éxito! 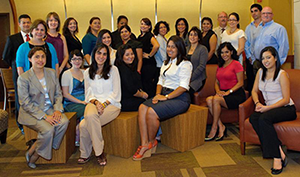 summer institute] encouraged me to pursue my doctoral studies,” Muñoz said. “The [Éxito!] summer institute gave me confidence and motivation to apply to a doctoral program,” Rios said. “The [Éxito!] summer institute definitely put the gear in drive in applying for doctoral programs,” Sanchez said. “The [Éxito!] summer institute has motivated me to seek a doctoral program that fits my career interest,” she said. “The institute made me realize that my career as a researcher is a journey and that I should enjoy it. “The [Éxito!] summer institute has helped me better understand the benefits and challenges of pursuing a PhD program"
“After spending a week listening to inspiring stories of other students that have had some of the same obstacles as I have, I feel like I'm not alone"
Marisabel lives in San Juan, Puerto Rico. Chavez lives in Berkeley, Calif.
Cruz lives in Kansas City, Kan.
De Jesus lives in New Haven, Conn.
Diana lives in Tampa, Fla. [Éxito!] has given me the confidence” to apply for a PhD program. Shayda lives in San Antonio, Texas. Noemi lives in Huntington Park, Calif.
Frutos lives in Reading, Penn. Richard lives in New Hyde Park, N.Y.
Angela lives in Jersey City, N.J.
Hernandez lives in San Antonio, Texas. Stephanie lives in Austin, Texas. Zandra lives in San Antonio, Texas. Jose lives in Las Vegas. Rivas lives in Las Vegas. Jackeline lives in Pomona, Calif.
Rosie lives in Bellflower, Calif.
Jacklyn lives in Colton, Calif.
Éxito! increases the amount of tools, role models, and support for seeking a doctoral degree and a career in cancer research. Rosario lives in Verona, Missouri. Paloma lives in Springfield, Mass. Mercedes lives in El Centro, Calif.
"The [Éxito!] summer institute provided me with additional role models, skills & motivation to continue my education,"summer institute gave me more confidence in my ability to apply and get accepted in a doctoral program." Diana lives in Long Beach, Calif. "[Éxito!] provided me with additional role models, skills & motivation to continue my education,"program gave me motivation to continue to pursue a degree in cancer research." Alexandra lives in Carson, Calif.
"[I] really enjoyed the [Éxito!] provided me with additional role models, skills & motivation to continue my education,"program, it opened my eyes to other cancer research interests. [I] got informed about applying, funding and getting through a doctoral program." "[Éxito!] has provided me with additional role models, skills & motivation to continue my education." Breann lives in Rancho Cucamonga, Calif.
"Éxito! has provided incredible confidence to: research programs, inquire about programs - to be critical about choosing the right program and mentors." Nancy lives in Worcester, Mass. "Éxito! helped me believe in myself; I no longer see my perceived barriers as reasons "why not" they are just challenges I will have to work past." "[Éxito!] has made me more confident that I can successfully obtain a PhD. [It's an]outstanding program. [I'm] extremely grateful for this experience." Krystal lives in Gardena, Calif. "[Éxito!] definitely has motivated me to pursue a PhD after my masters when it previously wasn't a thought." Andrew lives in Ontario, Calif. "[Éxito!] definitely made me realize how marketable Latinos in research are, because there is a need for us. Thank you for the opportunity and or the great experience!" Jazmin lives in Anaheim, Calif.
"Éxito! has helped me realized how much I already knew about research financial opportunities, the process of applying and going through a doctoral program. Gracias for putting such an amazing program together." "The role Éxito! provided was giving me the confidence and providing a support system for applying to a doctoral degree." Monica lives in Downey, Calif.
"Thank you for the thoughtfulness into the programming [Éxito!] has been the BEST institute I've participated because I felt at home." Sigolène lives in Santa Cruz, Calif. "[Éxito!] is a geat program! Excellent sessions! Éxito! covered all the tools needed to apply for a doctoral program.."
"The [Éxito!] program enabled me to consider PhD possibilities that otherwise I would have not thought about." Juanita lives in Ponoma, Calif. "[Éxito!] made the idea of a DrPH more plausible." "This [Éxito!] program gave me tremendous insight into the path leading up to and beyond a doctoral program. Before the program I contemplated going for a PhD program, now I am not only planning, but feel strongly that I will succeed in a PhD program." Natalicio lives in San Diego, Calif. "[Éxito!] has given me confidence to try to go further in my education. I know I'm not alone in my journey or my fears." Erika lives in Rancho Cucamonga, Calif.
"Éxito! has ignited and solidified my decision of applying to a doctoral program in the near future." "I knew I was going to apply, I was just worried about the process." Nancy lives in Costa Mesa, Calif.
"The [Éxito!] summer institute has provided tips and tools to carry me on my path as a researcher. Thank you very much for giving me the opportunity to attend the program and for setting up all the activities and presentations." Angelina lives in Delhi, Calif.
"The [Éxito!] summer institute was a fantastic opportunity. Now I feel I have important information and skills to attend and complete doctoral studies but valuable information to know for each stage of my career." Cristina lives in Delhi, Calif.
Benjamin lives in Bloomington, Calif.
Brianda lives in Bellflower, Calif.
Jose lives in Fresno, Calif.
Alexandra lives in Santa Rosa Bay, Puerto Rico. Hena lives in San Diego, Calif.
Vanessa lives in San Antonio, Texas. Mitzy lives in Carraboro, N.C.
Angela lives in Baldwin Park, Calif.
Alicia lives in San Diego, Calif.
Christina lives in San Diego, Calif.
Maritza lives in San Francisco, Calif.
Valerie lives in San Juan, Puerto Rico. Ramirez said the Éxito! Summer Institute inspired and motivated her, with great activities and diverse opportunities to learn, reflect, and network: “The Summer Institute has given me a confidence booster." Mia lives in Colorado Springs, Colo.
Kaylee lives in Long Beach, Calif.
Griselda lives in Laredo, Texas. Atenia lives in Las Vegas, Nev.
Eduardo lives in Naranjito, Puerto Rico. Beatriz lives in Los Angeles, Calif.
Jacquelyn lives in Worcester, Mass. Sandra lives in Torrance, Calif.
"The [Éxito!] Summer Institute is a great program that has provided me with the tools and motivation to pursue a doctorate in public health." After attending the 5-day Éxito! Summer Institute, Lani Alcaraz felt she was equipped with the resources and professional networks to successfully apply to a doctoral program. Lani lives in Houston, Texas. Éxito! training helped Lizette Álvarez become more confident in her ability to successfully apply to and complete a doctoral program. Lizette lives in Downey, California. After attending the Éxito! Summer Institute, Ayala-Marín believes her goal of becoming a behavioral researcher investigating cancer prevention and control is obtainable, and has the tools to enter a doctoral program. Alelí lives in San Juan, Puerto Rico. Bravo said Éxito! provided her with beneficial information about different research fields within cancer health disparities and the encouragement needed to make the next steps toward a career in research and a doctoral degree. Johana lives in Mission, Kansas. Christina lives in San Antonio, Texas. Éxito! has given Margarita Chavez more confidence in her ability to obtain a doctoral degree and an increased interest in Latino cancer health disparities research. Margarita lives in Albuquerque, N.M.
Sanae lives in Las Vegas, Nevada. Starla lives in Houston, Texas. Nicolas lives in San Diego, California. Éxito! helped Melissa Martinez feel empowered and armed with the tools needed to network with potential colleagues and mentors and consider pursuing a doctoral degree. Melissa lives in Caguas, Puerto Rico. The Éxito! Summer Institute gave Isaura Otero tools to become a better doctoral candidate and researcher. She now has greater confidence in her ability to apply for a program and confidence she will do so in the next few years. Isaura lives in Bayonne, N.J. Participating in Éxito! helped Aíxa Pérez-Caraballo feel she has a better grasp on the skills needed to apply to and complete a doctoral program, and stoked her excitement about a career in epidemiology. Aíxa lives in San Juan, Puerto Rico. Mariana lives in Shawnee, Kansas. Wendy lives in South Gate, Calif.
After attending the Éxito! Summer Institute, Rodriguez said she is now more confident that she will pursue a doctoral degree and pursue a career in cancer research. Melissa Rodriguez lives in Bronx, N.Y.
After attending the Éxito! Summer Institute, Rodriguez was more confident in her decision to pursue an advanced degree in nutrition with a more comprehensive look at how nutrition can prevent cancer and cancer reoccurrence. Vinerys lives in San Antonio, Texas. Janet Sanchez said the Éxito! Summer Institute increased her interest in pursuing a doctoral degree and is very confident she will apply to a doctoral program in the next year or so. Janet Sanchez lives in Las Cruces, N.M.
Having attended Éxito!, Carola Sanchez-Diaz said she has the tools to successfully apply for a doctoral education degree which will allow her to make her mark and improve the quality of life for many. Carola Lives in Puerto Rico. After attending the Éxito! Summer Institute, Mayra Serrano gained additional informative resources and networking opportunities to help her successfully apply and fund her doctoral education in cancer control research. Through the information and networks gained by attending the Éxito! Summer Institute, Vanessa Torres gained resources to bolster her never-give-up attitude. Vanessa Lives in Riverside, Calif.
Paul lives in Houston, Texas. Once accepted into the program, she learned from respected public health researchers and faculty that there are resources available and many different avenues that can lead to doctoral degree and a career in Latino cancer health disparities research. “Éxito! provided me confidence and tools to apply and be successful in a doctorate program." Jenny lives in San Antonio, Texas. Lizbeth Del lives in Puerto Rico. “Éxito! was one of the best things that has happened to me, as a person and as a professional." A mentor led her to Éxito! Latino Cancer Research Leadership Training, which aims to increase research in Latino cancer disparities by encouraging master’s-level students and health professionals to pursue a doctoral degree and a cancer research career. Once in the program, Garcia gained the necessary tools, guidance, and mentoring required to successfully apply for a doctoral program. Melawhy lives in Anaheim, Calif.
Delana lives in San Antonio, Texas. Steven lives in San Mateo, Calif.
Jeanette lives in Scottsdale, Ariz.
By the end of the program, Palomino said the path to pursuing a doctoral degree was much clearer. “[The] Éxito! Summer Institute provided me the insight and clarity for taking the next steps in pursuing a PhD program." Helen lives in Brawley, Calif.
Rossy lives in Houston, Texas. Lizette lives in Houston, Texas. “I think listening to some of the investigators that spoke [at the 2012 Éxito! Summer Institute], just to find out about their own journey, with their own experiences, how they got there…to me they seem a little more human. Before I had this picture that these people were like brilliant, they knew exactly what they wanted to do, they were so focused. To me that was kind of refreshing." Edgar lives in Seattle, Wash. The program benefited Carla Rosales in many ways. “Éxito! is a life-changing experience that changed the way I viewed cancer research,” Rosales said. Carla lives in Kenner, La. Ramon lives in Kansas City, Kan.
Aditi lives in Artesia, Calif.
Rebecca lives in San Antonio, Texas. Rosalie lives in San Antonio, Texas. Mariana lives in Tampa, Fla.
Marina lives in Kansas City, Kan. “[Éxito!] served as a guide for my future goals. It has assured me of my many capabilities,” said Campos, who plans to pursue a PhD within the next year or two in an area of substance abuse and mental health in adolescents. Diana lives in Puerto Rico. Mary lives in Puerto Rico. David lives in McAllen, Texas. Christina lives in Puerto Rico. Laura lives in San Antonio, Texas. Laura lives in Alexandria, Va.
Marievelisse lives in Puerto Rico. Edianys lives in El Paso, Texas.